MIXA 700XL – You can trust MIXA® and solid surface material, made from a blend of natural minerals and high-performance acrylics. Stainless steel has been proven to be an extremely durable material, ideal for kitchen sinks and commercial applications. 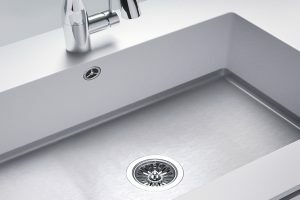 MIXA® sinks maximize the beauty of DuPont Corian®whilst combining the practical qualities of stainless steel.